Michael brings a wealth of business experience to his real estate transactions. He spent 15 years as a senior manager and business development executive in human capital management for multibillion dollar, publicly traded companies. 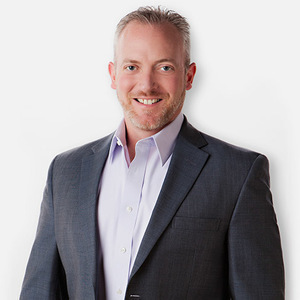 As a real estate professional, Michael draws from his corporate experience in both negotiation and business development to get unparalleled results for his clients. Having succeeded under the demands and scrutiny of the world’s most discerning boards of directors, Michael understands the vital importance of timeliness, thoroughness and clear communication. He works tirelessly to ensure that his clients get the best outcome, whether they are buying or selling. A native of Charleston, West Virginia, Michael graduated from West Virginia University and lived in New York City and Washington, DC, before settling in Southern California’s “American Riviera,” Newport Beach. There, Michael’s focus on prestigious properties and the luxury lifestyle of Newport Coast, Crystal Cove, Corona del Mar, and coastal communities helps his clients translate their success into the superior quality of life they have earned. To follow Michael, checkout his Facebook and Instagram. Welcome to the finest home available in the lagoon of Linda Isle. ~ 71 Linda Isle, Newport Beach, CA is offered at $11.95m and comes with a private dock that can accommodate up to a 60-65’ yacht, two Duffy boats, jet ski’s, and all of your water toys. This most impressive 4 bed | 5.5 bath stunner is solely for the water enthusiast. Rarely does a newer construction home (built 2017) come available in N. Laguna Beach. Before entering, you are welcomed by a vast pivoting glass door that offers an unbending view of the Pacific Ocean. Once inside this entertainers dream, you will find the main level with walls of glass and an open concept floor plan replete with panoramic water views from every room. The ocean is your backdrop as you venture down to level two and three of this stunning en suite 4 bedroom, 6 bath, approximate 5,000 square foot home.